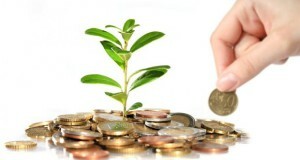 One of the key concepts every business person must have is how to invest back into your business. Successful companies exercise that strategy every day. The temptation to take that first few dollars of profit and splurge is a strong one that must be avoided if you intend to be in business for long. The story is told of the investment giant that he and a friend once bought a used pinball machine for $25. They put the machine into a barber shop and the customers liked it. The boys spent their profits buying more machines until they had eight. Eventually they sold the business and Buffet used his portion of the sale to buy stock. By the time he was 26, he had $174,000. That would be worth 1.4 million dollars today. That says a lot for reinvestment. Business owners realize that they must spend money to make money but, according to Entrepreneur, you also reinvest time and experience. Business startups require a lot of time. Many entrepreneurs find they work eighty-hour weeks. They turn their homes into offices and tether themselves to their phones. All that time yields experience and that experience is a valuable component of any business venture. Of course, especially early in the business, much reinvestment is financial. You must reinvest most heavily in startups, because they have to gear up to compete successfully, but your reinvestment amount should be dictated by your business strategy, not just a given percentage of the profits. Smart business people have business strategies. They know where they want their businesses to be in ten years, and they have plans to get them there. Buffet and his friend understood the value of more pinball machines; you may need more computers, software, managed services, a bigger warehouse or other things that will make your business run smoother. This is your business infrastructure and, like highways and bridges, allow your company to get where it needs to be. You might also reinvest in marketing to drive people to your store or website. As you grow, it is always a good choice to reinvest in employee benefits and education. You might consider outsourcing your customer service or some administrative jobs to make the best use of your time. Some of your profits might even be spent “schmoozing” or networking; you might take associates to lunch, for instance. Once you have the plan in place, you can look at your company realistically to determine how much of your profit can be successfully reinvested. According to The Guardian, you should be able to predict your costs, know what your profits have historically been and estimate your budget. Those figures are your guide to following your plan. If you own a volatile business, you will need more cash reserves and you will invest a smaller amount. Reinvesting into a business is smart, but it isn’t always easy. In the beginning it may mean sacrificing needs or wants. It could stress marriages and relationships. Still, if you understand the principle of deferred gratification you know the sacrifices will pay off eventually. If you invest back into your business, you will grow your business forward.